Fancy green diamonds are typically light in tone and low in saturation. Their color often appears muted, with a grayish or brownish cast. The hue is generally in the yellowish green category. 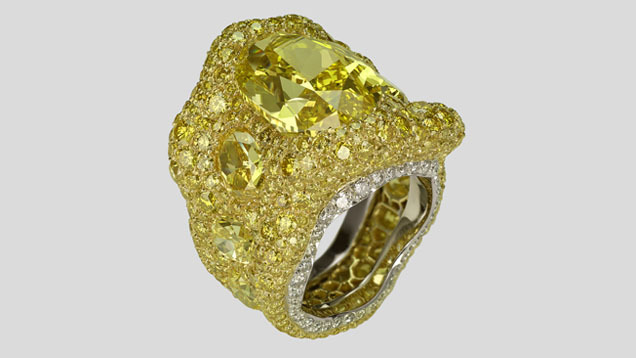 In most green diamonds, the hue is confined to the surface, and rarely extends through the entire stone. That’s why cutters try to leave as much of the natural rough around the girdle as possible. 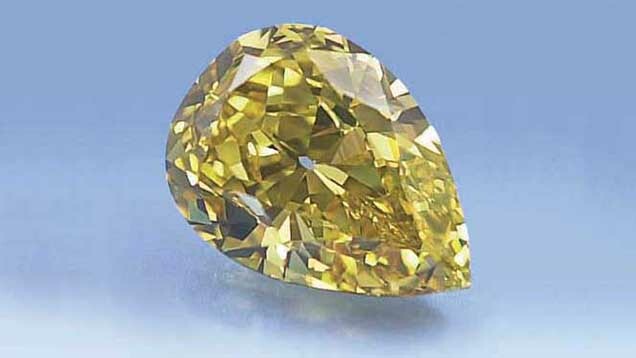 Diamond graders look for the strongest areas of characteristic color when grading. 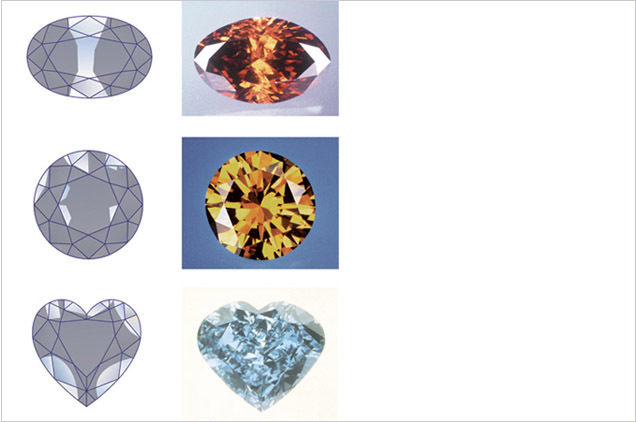 These are represented by the darker shaded areas in the illustrations for each Fancy color diamond. 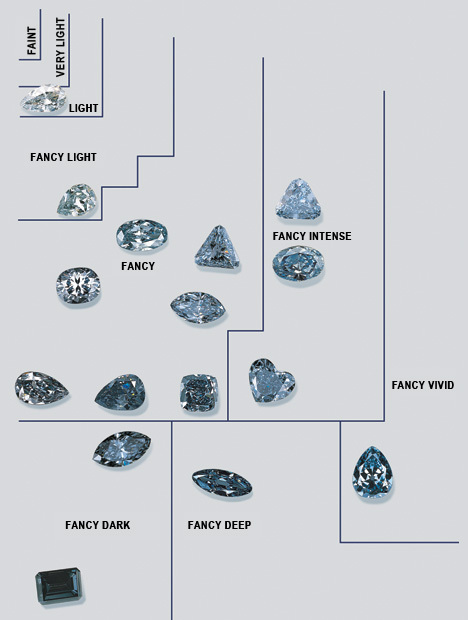 Brown diamonds range in tone from very light to very dark. Consumers generally prefer brown diamonds in medium to dark tones with a warm, golden to reddish appearance. They generally show a hint of greenish, yellowish, orangy, or reddish modifying colors. Until the late 1990s, there was not much demand for black diamonds. But designers started using them in jewelry, especially contrasted with tiny colorless diamonds in pavé settings, and they began to gain in popularity. 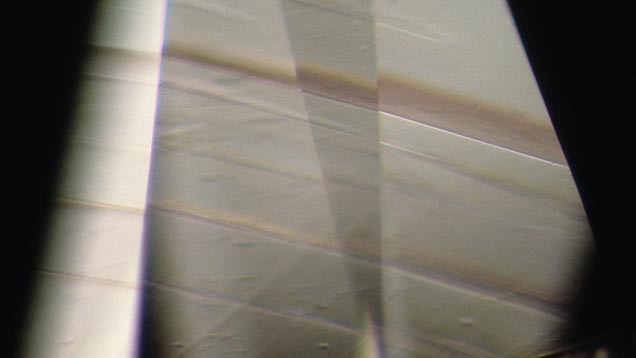 The colored and reflective graining in this light brownish purple-pink diamond is visible under 40-power magnification. 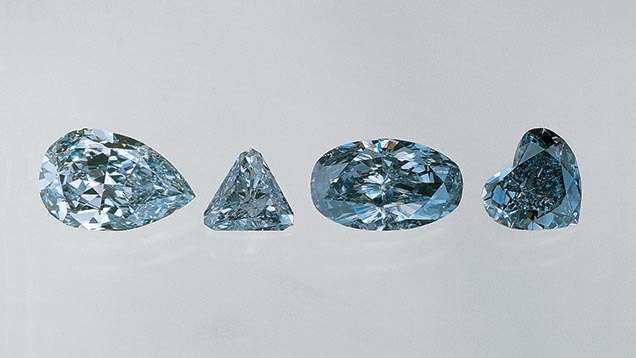 Fancy color diamonds are often cut into fancy shapes.